Literally, Indian Government and IRCTC pleased me a lot. And I am very sure that this very post can make you feel proud on Indian Government and IRCTC. A joint venture of these both started some special trains for the comfort of tourists. As India is the country which is rich in acoustic monuments, eye-soothing scenic beauty, flora and Fauna. 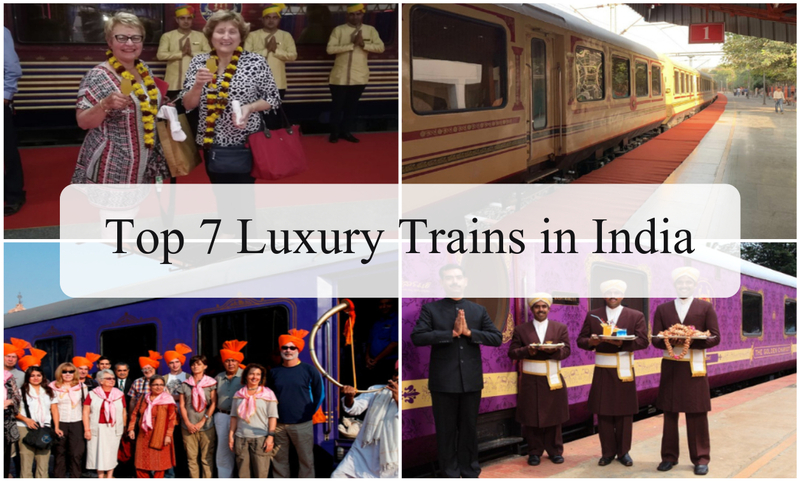 So, to provide a complete sense of travelling and tourism there are 7 Luxury Trains in India. 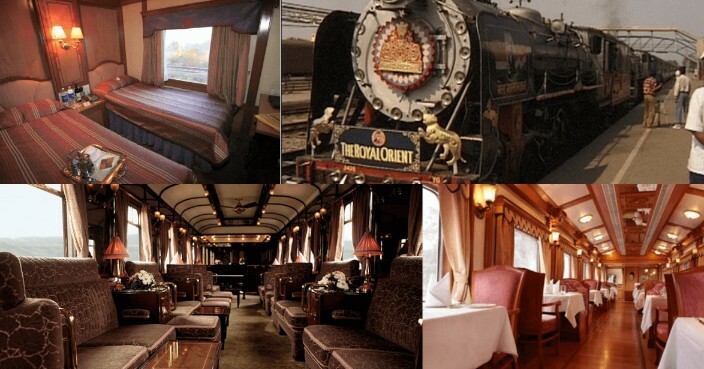 In today’s world where people have a fantasy of traveling back in time, grandeur and royalty of these super luxury trains are sure to excite you. There are a total of 7 luxury trains in India which are managed by the government and Indian Railway Catering and Tourist Corporation shortly termed as IRCTC. 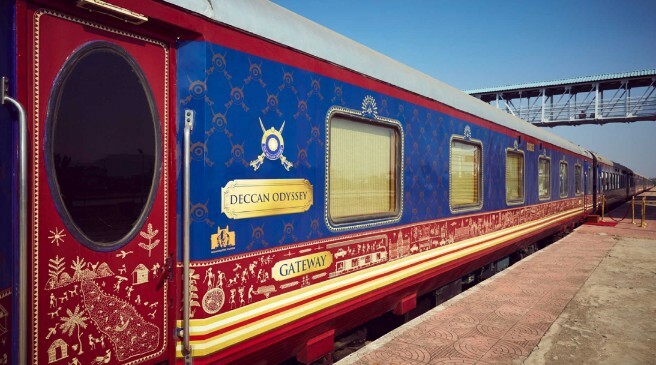 These trains are namely Maharajas’ Express, Palace on Wheels, The Deccan Odyssey, Golden Chariot, Royal Rajasthan on Wheels, Royal Orient Train, and Fairy Queen Express. All these trains are a must visit for the tourists who desire to explore the cultural heritage of Ancient India living in the lap of nature. These trains can fulfil even the slightest of your wants you could possibly think of, be it the interior, food, staff or security. A journey from these trains through the most popular tourist destinations of India is what you can find in every tourist’s bucket list. Let’s get started to know more about them. Apart from being the best Luxury train in India, the Maharajas’ Express is also one of the top 5 Super luxury trains in the whole world. The train is approximately half a mile in length. In all certainty it claims to have the highest quality of hospitality, lavish suites, easing services and much more. If one wants to take a royal journey to India’s top tourist destinations and explore the richness of the country in the most distinguished manner, the Maharajas’ Express is surely the right choice. The train was voted ‘World’s Leading Luxury Train’ for the years of 2012, 2013 and 2014, consecutively. It comprises 23 carriages which include accommodation, dining, bar, lounge, generator and store cars. Its services was started in March 2010. 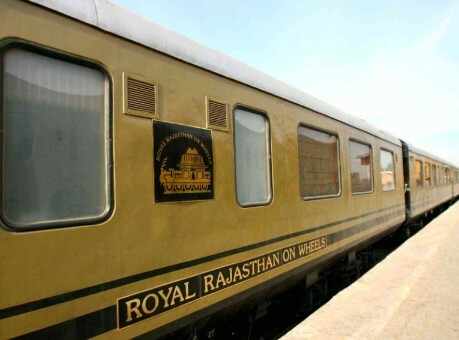 The Royal Rajasthan is one of the most luxurious trains in India. Primarily known for offering supreme quality of comfort and traveling experience, it has 14 cabins, multiple restaurants, bars, and spa services. This train lives up to its expectations and has great demand for Luxury train Journeys by the tourists. The Royal Rajasthan on wheels is structured on the Palace of Wheels and follow the similar route through the state of Rajasthan. It was launched in January 2009. The Palace on Wheels is one of the of the elite trains in India. It was refurbished and launched again in 2009 to promote and enhance the tourism sector. The train provides the guests with luxurious hospitality, wallpapers, well-stocked bars and experience of the rich cultural heritage of the country. It is no less than a Royal Palace running on Wheels. This train was also awarded 4th most luxurious train in the whole world. It is surely the best choice if one is planning a luxurious trip to Rajasthan. The Deccan Odyssey is no less than a 5-star hotel on wheels which travels across some of the fascinating parts of the country. It is well known for its Royal treatment to its passengers, luxurious restaurants and bars, conference cars, spa services and much more. The idea of such a train was inspired by the traveling style of the kings and rulers of Ancient India. It is also one of the most super luxury trains in the world. 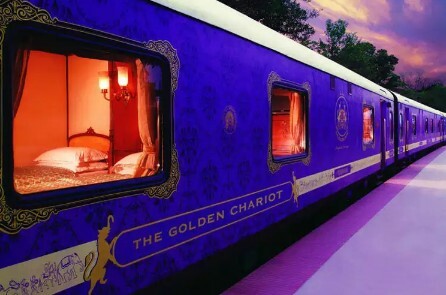 Golden Chariot is one of the super luxury trains in India which travels across various parts of Southern India. It was launched in 2008 and is remarkably known for its hospitality. The train has air-conditioned chambers with royal interiors, bars, restaurants serving various cuisines, mini gym, spa, and other 5-star facilities. It was awarded as ‘Asia’s leading Luxury train’ in the year 2013. It provides accommodations in 44 cabins which are in 11 coaches named after the dynasties that ruled the region: Kadamba, Hoysala, Rashtrakuta, Ganga, Chalukya, Bahamani, Adil Shahi, Sangama, Satavahana, Yadukula, and Vijayanagar. The Karnataka State Tourism Development Corporation and the Maple group manages the train. It runs between the months of October to March. The Royal Orient which is one of the leading luxury trains in India is surely the right choice for someone who wants to have a delightful traveling experience to the most famous tourist destinations in the country. It offers comfortable cabins, hospitable attendants, luxurious restaurants and bars, relaxing bath and a library. It runs all year round and one must experience its royal journey. Royal Orient train runs between Gujarat and Rajasthan covering all the important tourist destinations that lie between these two states. There are a total of 13 coaches in the train named after the kings. It started in the year 1994. The Fairy Queen Express is one of the oldest luxury trains providing services in India. The train has been mentioned in the Guinness Book of World Records and has received National tourism award. It is also known as the East India Railway Nr. 22 and occasionally runs between New Delhi and Alwar. It was Iaunched in the year 1982. It is surely the pride of India.